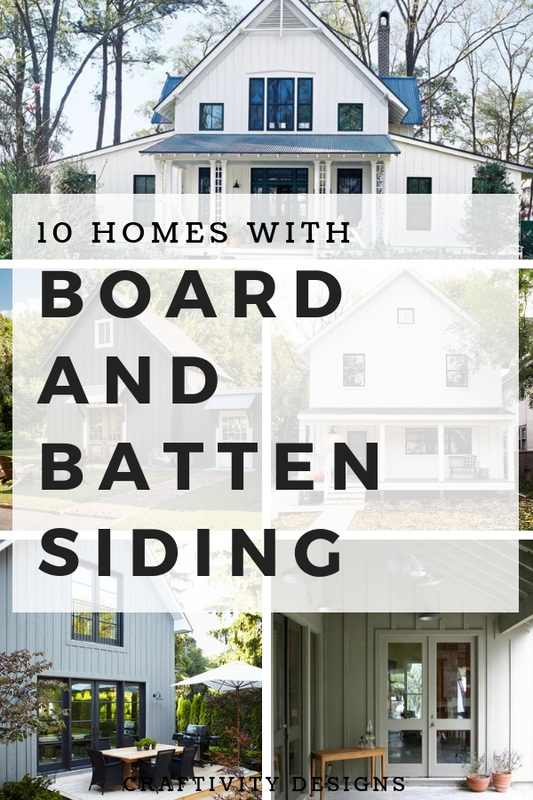 View 10 Home Exteriors with Board and Batten Siding. What is board and batten siding? Why should you choose board and batten vinyl siding for your exterior remodeling project? If (and that’s a big “if,” so don’t hold your breath) we can finish a few more exterior projects in the next month or so, I hope to start showing you the exterior of our home. If you don’t recall, we are renovating a cottage style home and true fixer-upper. Our goal is to transform our home into a modern cottage, exuding both a cozy warmth and a clean modern style. One of the major decisions we made, in order to accomplish that goal, was selecting Board and Batten Vinyl Siding for the exterior remodeling project. Board and Batten siding consist of alternating wide boards (typically 8″-10″) and thin wood strips (typically 2-3″), called battens. Board and batten siding is, most often, placed in a vertical orientation. The battens are installed over the wide boards, in order to create depth and dimension. Originally, this type of siding was designed in order to solve a problem. In the colonial days, rain and cool air would seep through the board siding on homes. The batten was added to cover the cracks between the boards and seal the interior of the home from the exterior weather. Board and Batten Vinyl Siding looks similar to wood Board and Batten Siding, but is more durable and requires less maintenance. Vinyl siding will not rot and does not require repainting, like wood siding. When you think of vinyl siding, you most likely envision lap siding. It’s the most common and most economical style of vinyl siding, especially in the standard 4″ width. Therefore, Board and Batten Vinyl Siding feels unique. Yes, the technique is as old as the colonial days (or older! ), but in the current context of modern home design, Board and Batten is a custom exterior option. Of course, “unique” and “custom” does mean that it comes with a higher price tag. To make Board and Batten Siding more affordable, mix it with Lap Siding. Take a walk through your neighborhood. 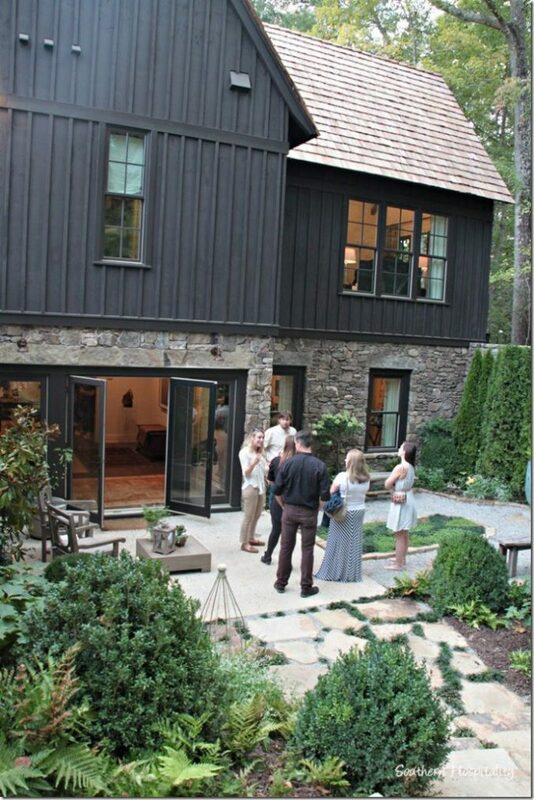 Spend time observing the exteriors of the homes. 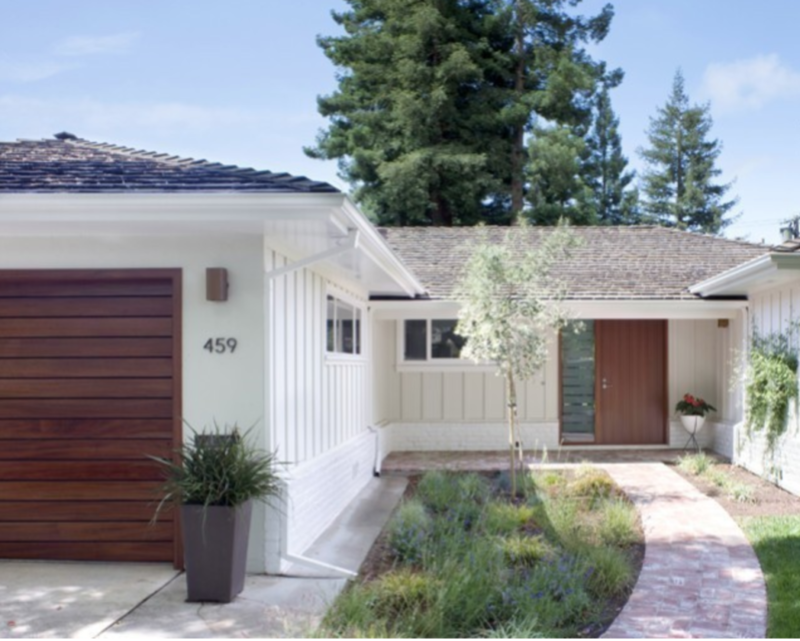 Take note of repeated design features, color palettes, and house styles in the neighborhood. A home shouldn’t blend into the surrounding homes, but it also shouldn’t stick out like a sore thumb, either. For example, we considered buying one home in a lovely neighborhood. It was a steal, in comparison to the other homes, but it also had a completely different design aesthetic. In a neighborhood filled with stately brick traditional homes, it was a contemporary style home with wood board and batten siding. 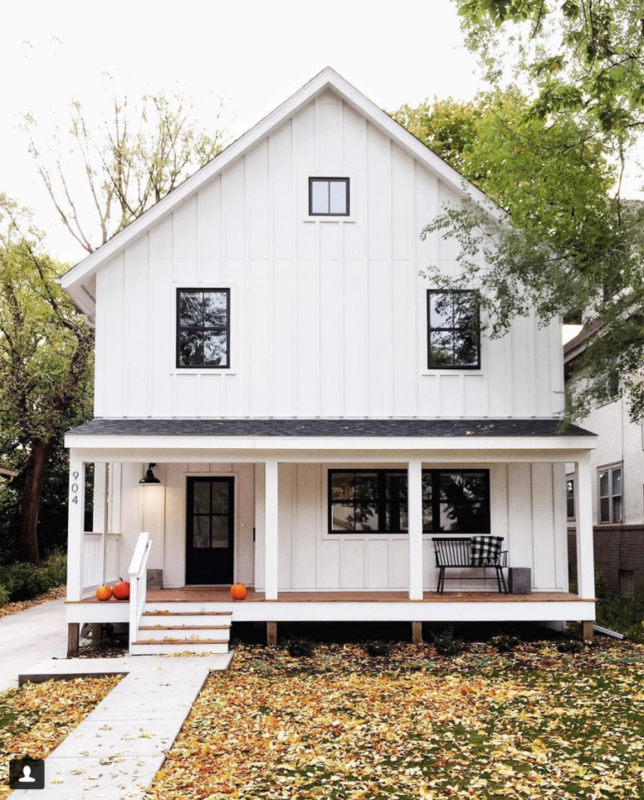 The house felt out of place (even though I like the look of Board and Batten) and our realtor noted that may actually reduce the value by about 5%, compared to nearby homes. By no means a deal breaker, but it was something to consider. So, keep the context of the neighborhood in mind. If you live in a neighborhood with all white lap siding homes, choose a white board and batten siding. It will give your home a custom edge, without feeling like an oddball next to the neighbors. If you live in a neighborhood with contemporary style homes, chose a striking board and batten in a dark color that won’t feel too colonial or farmhouse compared to the surroundings. 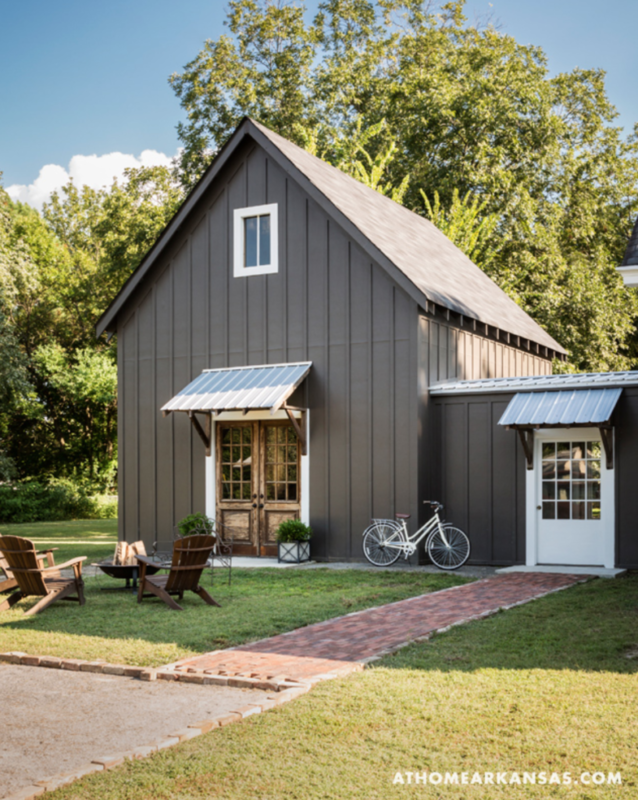 While an old technique, Board and Batten Siding has a modern feel, especially in the context of the last 40-50 years. Many new-build neighborhoods have featured either brick or lap siding homes. 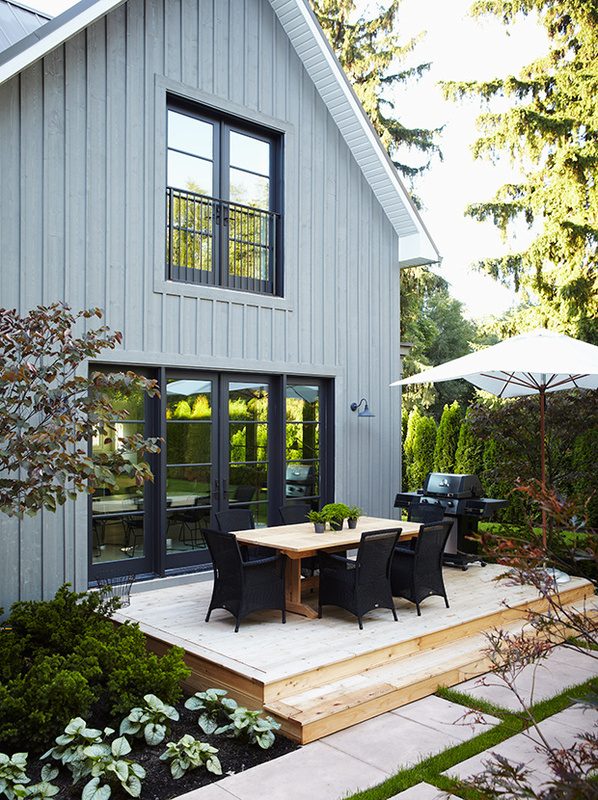 Therefore, Board and Batten Siding is gaining popularity as a trendy, modern exterior design option. One of the reasons that vinyl Lap Siding grew in popularity, that it is nearly maintenance-free, is the same case with vinyl Board and Batten Siding. Outside of a potential annual pressure washing, you won’t need to do much to the siding. 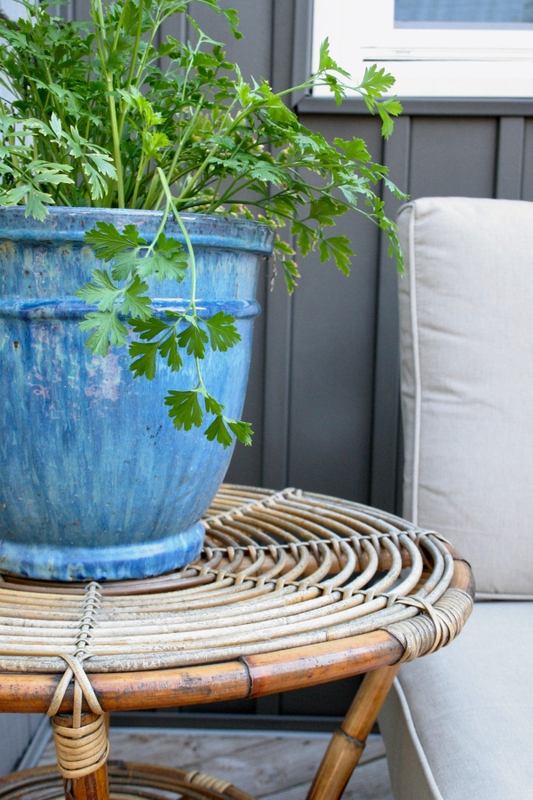 It won’t rot and doesn’t require repainting. In contrast, wood board and batten — while beautiful — requires regular re-painting to protect it from rot. 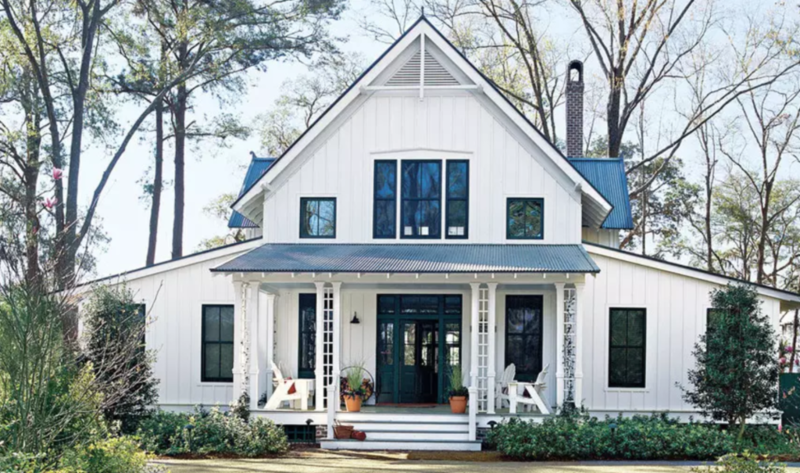 Now, let’s take a look at 10 stunning home exteriors with Board and Batten Siding. 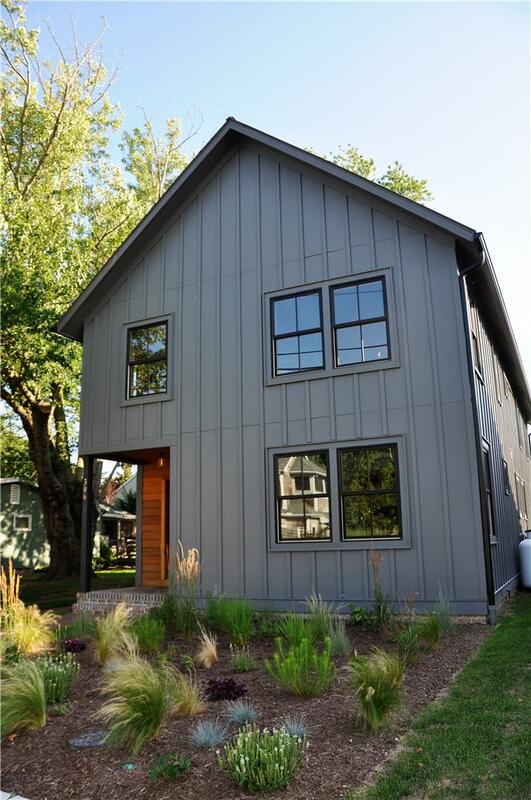 These homes are a mix of vinyl and wood Board and Batten, but will provide you the general aesthetic of the technique. 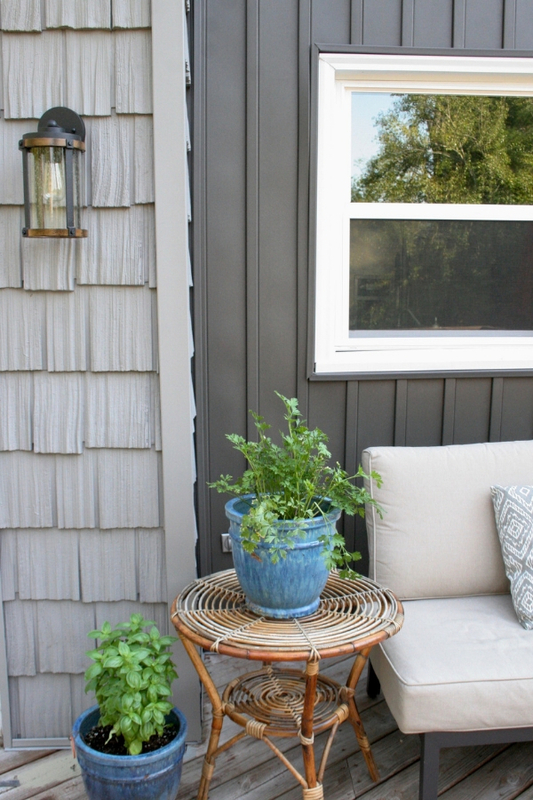 Plus, I’ve included a mix of both dark and light exterior color palettes. 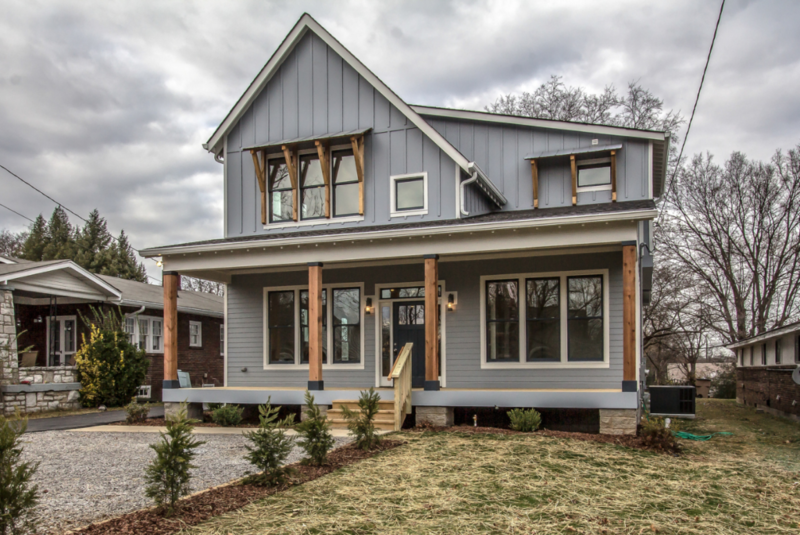 Make sure to note how color affects the overall exterior design. 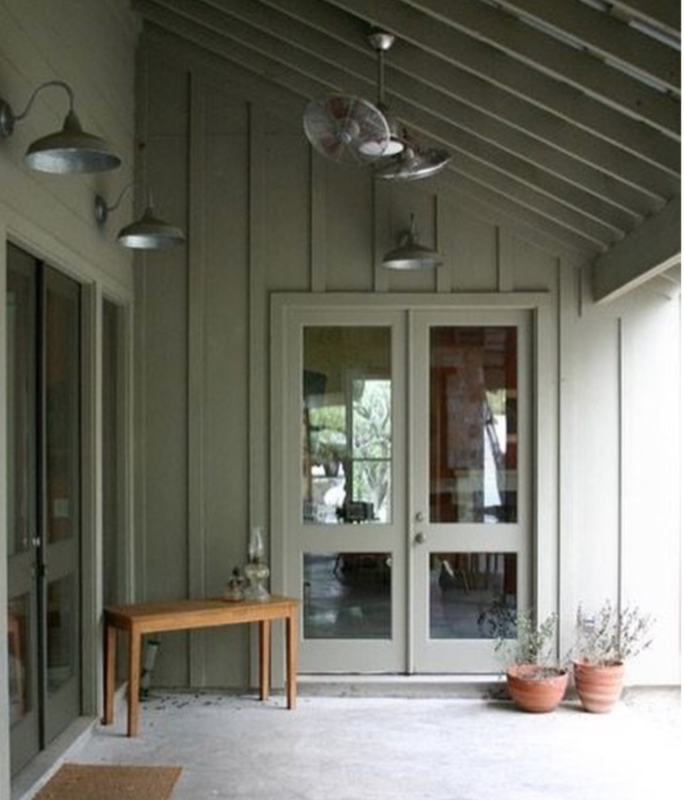 and warm olive green or brown board and batten communicate a woodsy vibe. House and Home, in a bluish gray. Marvin, in a deep charcoal gray. 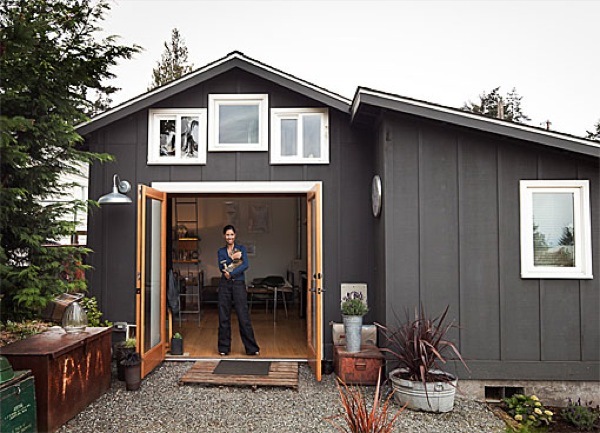 Tiny House Talk, in a black brown. The Faux Martha, in white. Kelly Geisen Design, in olive green. At Home Arkansas, in gray-brown. Sagan Piechota Architecture, in white. Marcelle Guilbeau, in light gray. Ready to start an Exterior Remodeling Project? As part of documenting the full exterior remodel of our modern cottage style home, I’ll be collecting all of the corresponding posts, here. This is the first in the series, so sign up for email, if you’d like to follow along with this exterior remodeling journey.